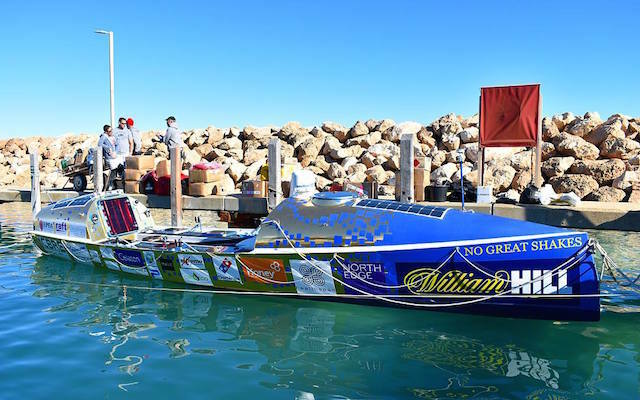 On 6 July 2018, Robin Buttery and his crewmates Billy Taylor, Barry Hayes and James Plumley set sail from Western Australia – marking the beginning of what would be a gruelling 3,600-mile journey across the Indian Ocean. Robin provided a unique Parkinson’s perspective in his personal blog posts ­– as he detailed how the challenge made him more aware of his condition than ever. The Parkinson’s Life team look back on some of the most significant parts of his journey. It’s a bumpy start for Robin, who finds himself having difficulties en route to Australia – before even stepping onto the boat. He is stopped at customs, something he attributes to “a flustered look, a slight stagger and a tendency to shake” that he believes make him look suspicious. Robin jokes that he also has a bag full of “enough drugs to knock out a couple of elephants”. Having managed to navigate customs successfully, Robin enjoys landing in Australia – and the team’s first sight of the ocean. Robin reflects on the impact his Parkinson’s is having on him mentally, shining a light on the difficulties people with the condition face every day. The crew prepares to set off on their journey. Robin Buttery and Billy Taylor on deck. Two weeks in, and the journey is starting to take its toll on Robin. He experiences hallucinations and begins to question whether they’re a result of exhaustion or are side-effects of his Parkinson’s medication. 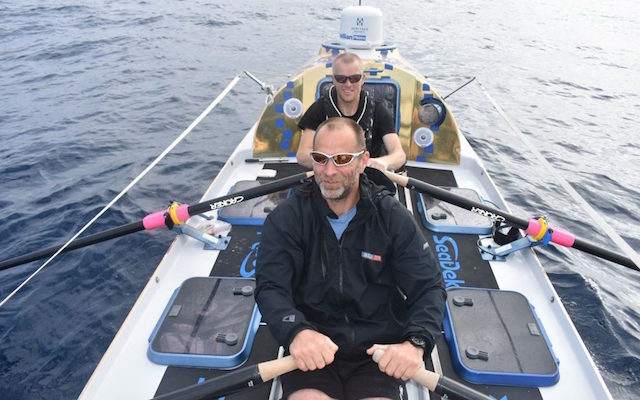 Despite rowing in such challenging circumstances, Robin believes the experience has a positive effect on his condition. “Rowing during the day has lots to entertain and look at for stimulation of the brain. 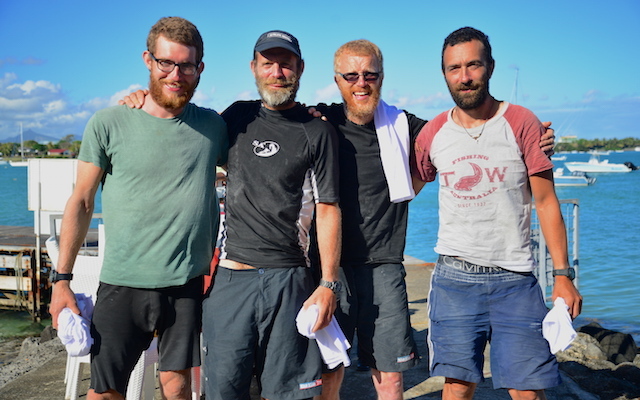 The team rowing across the ocean. As the group approach the two-month mark, Robin feels his body slow down. 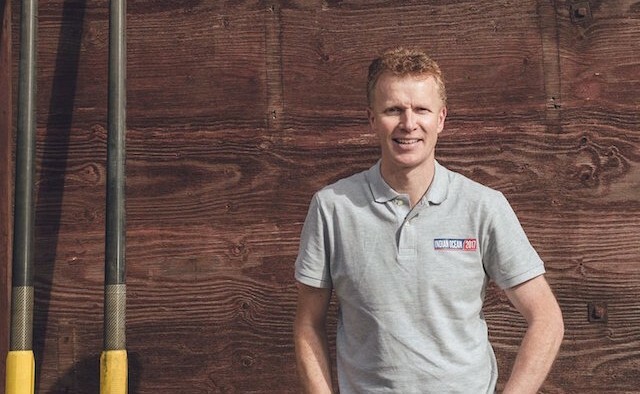 It takes him far longer to get dressed and he fears he’s reaching the point of exhaustion – this is exemplified when he finds himself falling asleep during a rowing session with James. Robin and his team mates – Barry Hayes, Billy Taylor and James Plumley – after completing the challenge. 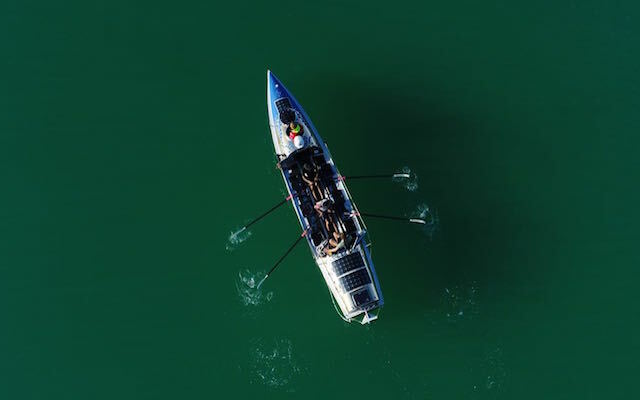 To read more about the team’s journey – or to donate to the Indian Ocean Row 2018 – visit the official website here. For more information on early onset and young onset Parkinson’s please visit the EPDA website.